Less than a week after pulling this wearable from the market, LG issues an official statement about this move. Although big companies like LG launch products after testing them for thousands of hours, it seems that hardware issues sometimes manage to slip through the whole process. The LG Watch Urbane 2nd Edition launched with AT&T in the US and was expected to hit Verizon Wireless as well, but the company pulled it off the market after less than a week. The reason, unconfirmed by LG at that time, was a faulty hardware component. 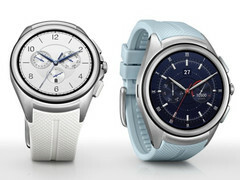 Now, LG confirms that its smartwatch has some hardware issues but, unfortunately, the details remain secret. "For competitive and supplier relations reasons we are not in a position to communicate the specifics of the issue that led to this decision. However, what we can share is that the hardware issue was related to a new advanced component that we had incorporated in the device that had never been used in an LG wearable device before," says the company. LG also reveals that the problem does not affect the safety of the wearer or its device, as it "might affect the user experience of the LG Watch Urbane 2nd Edition over the long term" and nothing more. At this point, it seems they have not decided the future of this first smartwatch with mobile data connectivity, so we should hear more about the Watch Urbane 2nd Edition's fate soon.